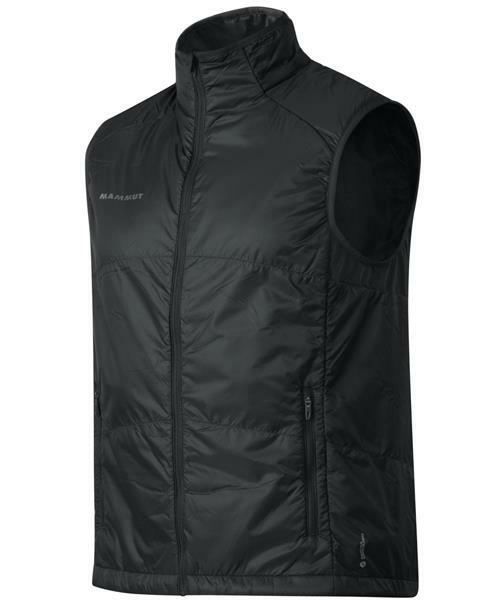 The Aenergy IN Vest Men is an insulating vest that provides an intermediate level of warmth for stop & go activities. The Aenergy’s warmth is provided by the Polartec® Alpha® insulation, which also ensures that you do not overheat during intense activity. The elastic fleece zones on the sides provide additional temperature regulation. And if the Aenergy becomes too hot on ascents, it can be packed up very small and stowed.